Ever wonder how to identify an insect? Let's take this green bug we found this week. It looked familiar, but I couldn't quite place it. I knew it was a youngster or nymph because it has wing pads on the sides of its abdomen, not full wings. I also could tell it was a "true bug" because of the triangular-shaped piece in the middle of the back, where the adbomen meets the thorax. 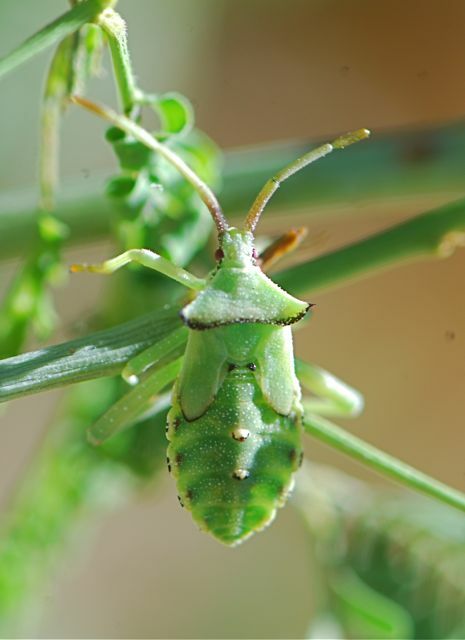 So, I put the search terms "green bug numph" in the image search box of my search engine (in this case Google). 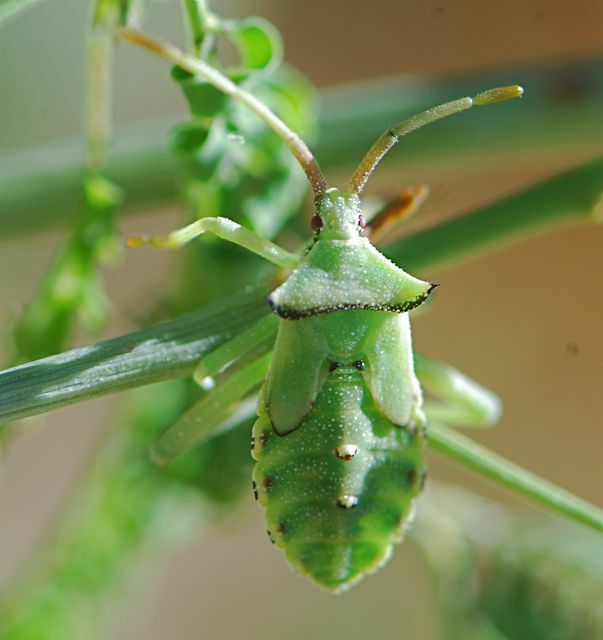 I got a bunch of green stink bugs, which I knew were wrong because they are more shield shaped. But scrolling down a bit, I found something very close. A few more clicks, and "Aha!" Thanks to BugGuide I know it is a leaf-footed bug nymph, in the genus Piezogaster. I see the two spots on the back and the antennae are the same shape. No wonder it looked familiar. We have found leaf-footed bugs before, although not this species. So, what bugs have you found this week?